As per the latest report, Bihar Board Matric Result 2019 declared. Check BSEB 10th Result 2019 here. Best of luck! to all the Bihar Board 10th students. 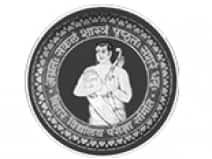 Bihar School Examination Board, Patna (Bihar Board) conducts examinations of Matriculation (high school or 10th) and Intermediate examinations (Class 12) every year. Bihar Board Matric Exam 2019 and Bihar Board Intermediate Exam 2019 will be held in the month of February. Every year, approximately 18 lakh students take up matric exam and around 12 lakh students take up Inter exam. Last Year matric overall pass percentage was recorded at 68.89. And Inter overall pass percentage was 52.95. In 2018, result of inter was announced on 6 June 2018 and matric result was announced on 26 June 2018. In 2019 Bihar Board will declare the matric and inter exam result in the month of May. Students can check the results of the Bihar Board Matric and inter examination result on www.livehindustan.com. Apart from this, the results can be checked on the official website of the Board.